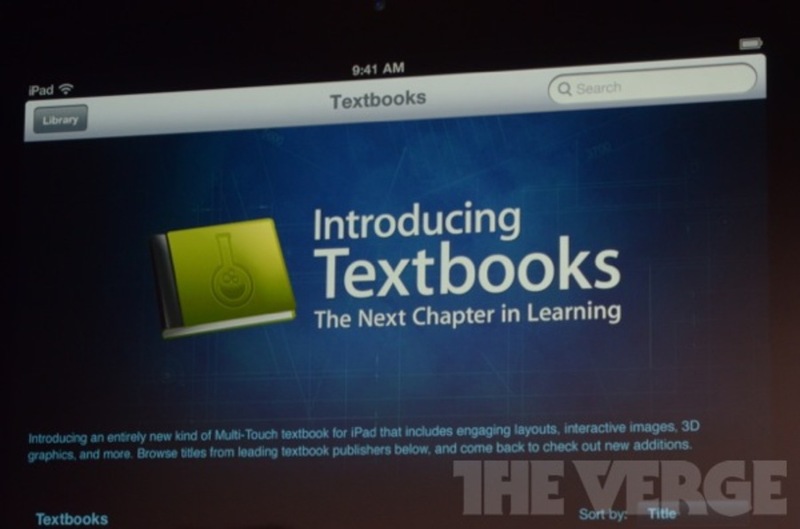 After looking at iBooks 2 and iBooks Author, we now present to you iBook Textbooks. Before moving on into the details, I just want to say that this is easily a game-changer for the education market, as the price for these textbooks are dirt cheap compared to what you would normally have to pay for a real textbook. 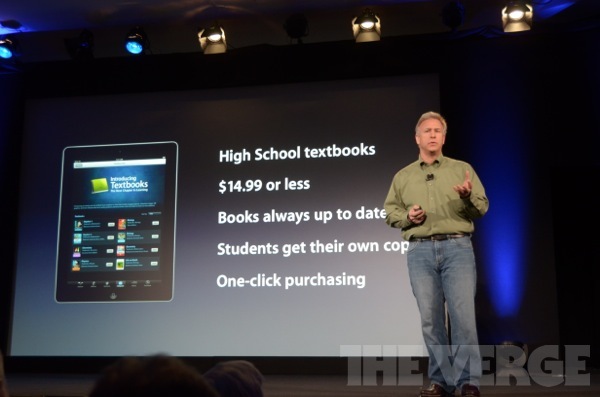 Apple has announced that high school textbooks will be available through the new iBookstore textbooks category starting at $14.99 or less. The textbook partners include: Pearson, McGraw Hill, and Houghton Mifflin Harcourt, three of the biggest textbook producers worldwide. Apple noted that the three partners currently produce 90% of the textbooks available. In terms of textbooks that will be available today, McGraw Hill is releasing Algebra 1, Biology, Chemistry, Geometry and Physics. Pearson is releasing Biology and Environmental Science today. These books are currently used by around four million students worldwide. Apart from the three major textbook publishers, Apple will also be working with DK Publishing, who will be releasing four new books aimed at younger children on the iBookstore today. Those books include: Dinosaurs and Prehistoric Life, Natural History Insects, Natural History Animals, and My First ABC.